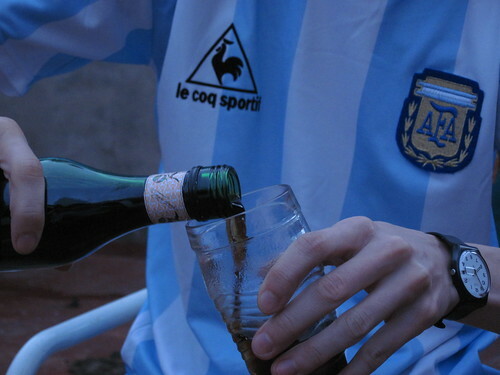 The end of season special of Hand Of Pod is an epic – an hour and three quarters – for which I apologise, but there’s good reason: South American football broadcasting legend Tim Vickery was talking to us in person over a glass (okay, several glasses) of wine, and dinner, and we simply couldn’t bring ourselves to cut anything. We discuss River Plate’s relegation, where ‘Tricky’ Ricky Álvarez could fit into Arsenal’s system (if of course he does go there), our favourite players of the Torneo Clausura just gone, and the differences between Pelé and Diego Maradona as players, as well as looking forward to the upcoming Copa América. Enjoy. Tim’s blog is linked to above, but you can also find all our own sites with these links: Sam runs Hasta El Gol Siempre, Aussie Dan is webmaster of Argentina Football World, and Seba is the head honcho at Mundo Albiceleste. English Dan is the South America editor for Goal.com. We also shouldn’t forget enormous thanks to our host, Turkish TV presenter Asli Pelit, whose Twitter profile you’ll find here. In this Copa América special preview edition of Hand Of Pod, English Dan and Sam are joined via Skype by Nicholas Rosano, of Goal.com and SouthAmericanFootball.co.uk, who discusses Uruguay’s cautious optimism, tactics, and chances in the tournament with us, as well as telling us who else to look out for aside from Edison Cavani, Diego Forlán and Luis Suárez. We also find a few minutes to discuss Peñarol’s 0-0 draw with Santos in the first leg of the Copa Libertadores, ahead of this Wednesday night’s second leg. In the third of our special Copa América previews, the Hand Of Pod crew welcome Caetano to English Dan’s Caballito abode, and much hilarity ensues. 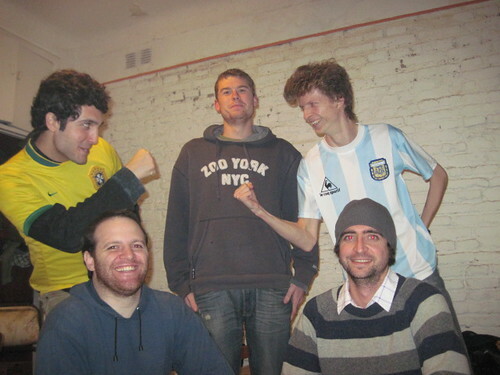 He endears himself to the listeners of this Argentine football-based podcast by slagging off Argentine football (well, he is Brazilian), and at one point actually kicks our resident Argentine, Seba (though this sadly wasn’t picked up by the dictaphone). Ahead of this week’s first leg of the Copa Libertadores final, we also get a few brief thoughts from Caetano, who’s a Santos fan. Click play to find out more about the defending Copa América champions, and how they’ve changed under Mano Menezes since Dunga left as manager following last year’s World Cup.